Abu Dhabi beach, a la F1! 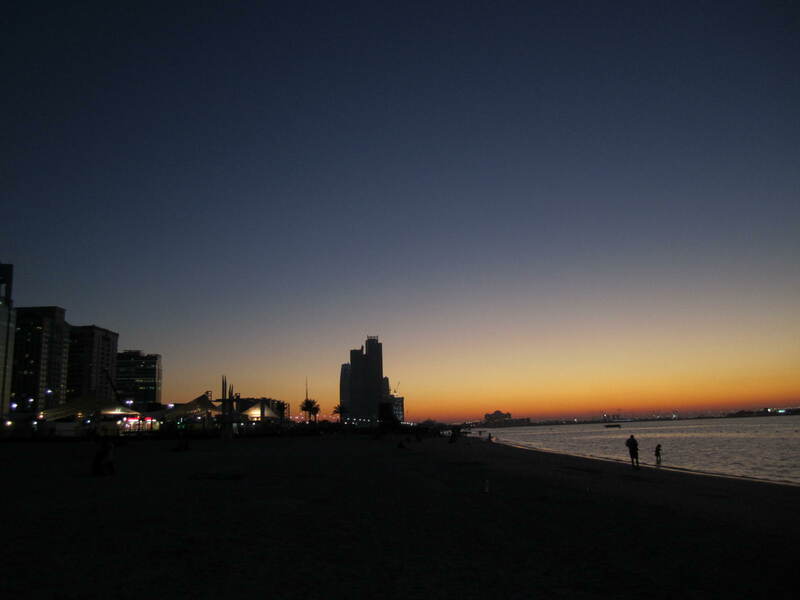 Abu Dhabi beach has 2 divisions: Al Sahel and Family. Al Sahel is Gates 6, 5, 4. Family is Gates 3, 2, 1, of which 3 & 2 are only for families / womenz. They even have a “beach bus” that runs throughout the beach stretch for free every ~ 15 minutes. All gates have a paid entrance where you can have extra amenities like beach-benches and a counter to keep your stufflez, 1 with water-sports (Gate 1 or 5, sometimes even at 4, depends on events), and less crowd on the toilets, showers, and sea. On October 2011, they had 2 huge-screen F1 movies, some F1 video games (X-Box Kinect and another, 3-screen actual F1 car sim, F1 wheel sim, replace-the-tire time-challenge, 2 remote-control racing circuits, 1 kids F1 go-carting) and an F1 sand-sculpture at Gate 4. Though F1 cars go at insane speeds, F1 drivers actually need to be very calm because the slightest mistake can send them swirling and out of control especially on a turn. They also need to be very patient cause they have to drive for 2 hours straight, and they need to loose absolutely all aggression and ego due to time-penalities for bumping into opponents (especially on turns to block them). 2011 is history, 2013 is a mystery, and 2012 is … a barrage of fireworks! 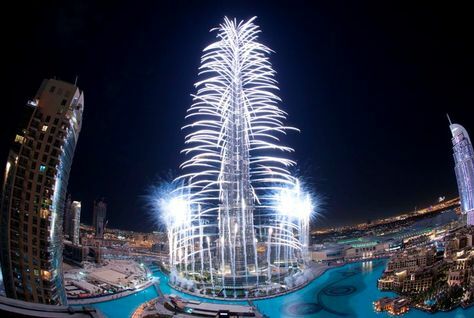 I watched Burj Khalifa fireworX live and in person for the very first time. Walked a minimum of 3:30 hours today, to and from JBR twice, and to the restaurants at Souq Al Bahar (nearby Burj Khalifa) from the Business Bay bus stop, and along JBR’s entire beach, before and after sunrise. I wonder how it is like for people staying at Burj Khalifa. On another note, this year, Dubai Metro operated until 5.30am yesterday. Its stations were packed with huge volumes of commuters. People were directed by security to head for the Dubai Metro, but allowed entry only from one of the sides. After waiting at the “wrong” side for 30 minutes or more, people had to walk another two to five kilometres [to the other exit]. According to the Roads & Transport Authority, the total number of commuters who used the metro for the New Year was ~ 415,000.